We conclude the chapter on sugata with the changes in the shapes of wakizashi. The “typical” wakizashi as we know it, i.e. 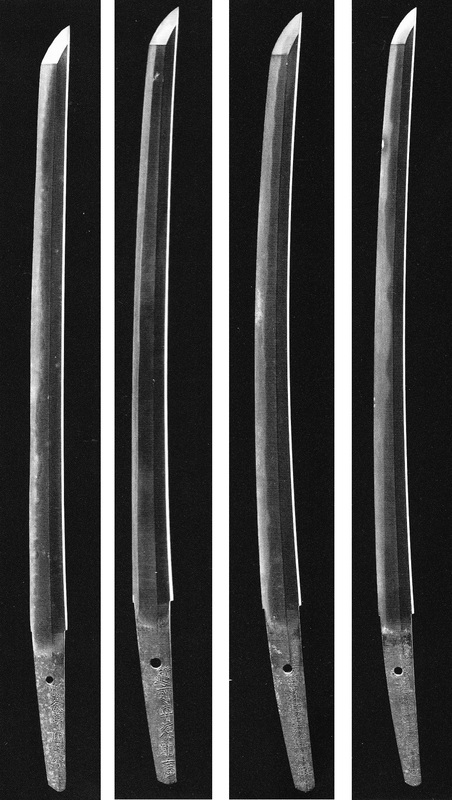 in shinogi-zukuri and showing about the same proportions as a katana, did not appear before the Muromachi period and shinogi-zukuri wakizashi remain very rare until the mid-Muromachi period as in early Muromachi times, the hira-zukuri wakizashi was prevailing. 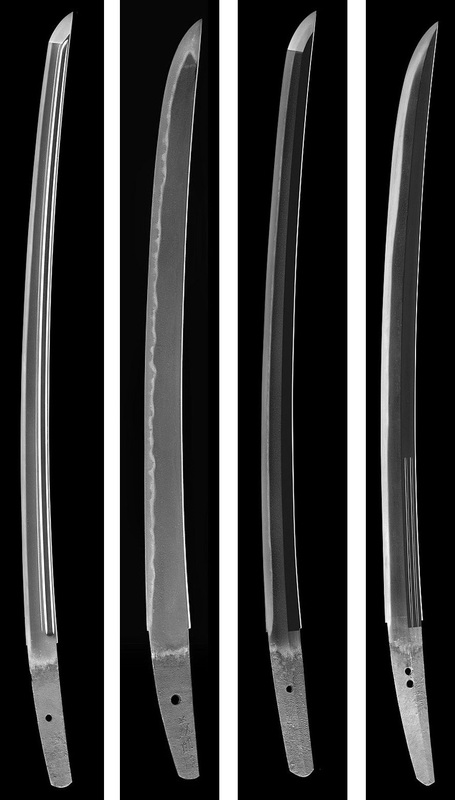 The Muromachi gave anyway rise to many different wakizashi forms: shinogi-zukuri wakizashi with a nagasa of 45~55 cm, a noticeable taper, a shallow sori with a tendency towards sakizori, and a chû-kissaki; hira-zukuri wakizashi with the about the same nagasa and with a noticeable sakizori; and wakizashi in shôbu-zukuri and unokubi-zukuri which usually stay under 50 cm in length. Virtually every Muromachi-era school and smith made wakizashi and it is difficult to forward a name being representative for a certain sugata. 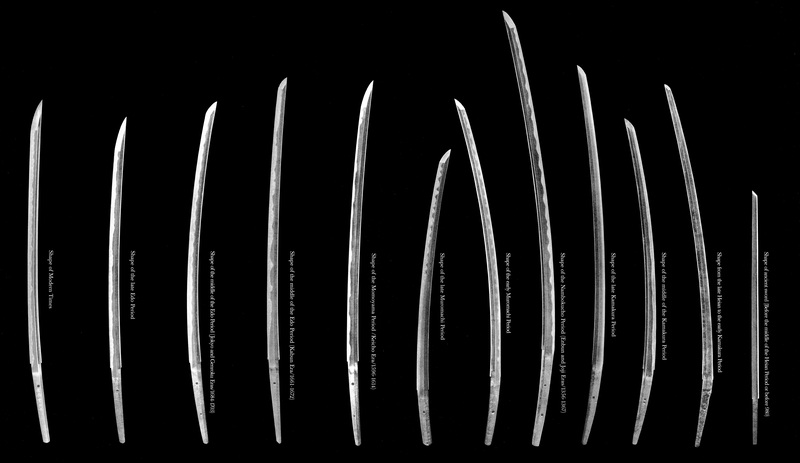 Also we must not forget that shinogi-zukuri blades with a nagasa of just a little under 2 shaku (60.6 cm) from before the early Edo period were intended as uchigatana or katata-uchi and are only today – because of their length – classified as wakizashi. With the Nanbokuchô revival trend of Momoyama times, there were still quite many hira-zukuri wakizashi and hira-zukuri ko-wakizashi made. That means the classic shinogi-zukuri wakizashi did not replace them in terms of quantity yet. But of course an increasing number of shinogi-zukuri wakizashi can be seen from about Tenshô (天正, 1573-1592) onwards. Wakizashi from that time feature like their katana counterparts a Kanbun-shintô-sugata, that means they have a nagasa of about 45~50 cm, taper noticeably, and end in a compact chû-kissaki. All schools of that time made such wakizashi and it is hard to name any representative smith. Certain renowned master smiths from the advanced early Edo period also made some flamboyant wakizashi. These were mostly made on special orders and are wide and impressive, that means they don´t follow the then Kanbun-shintô-sugata, and usually show elaborate horimono. Representative for this trend was for example Kotetsu. Here virtually the same applies as to the changes in long swords, that is, the Kanbun­-shintô-sugata was given up in favor of an again more moderate sugata, the so-called Genroku-shintô-sugata. In other words, wakizashi curve more, show a harmonious taper, and end in a chû-kissaki. 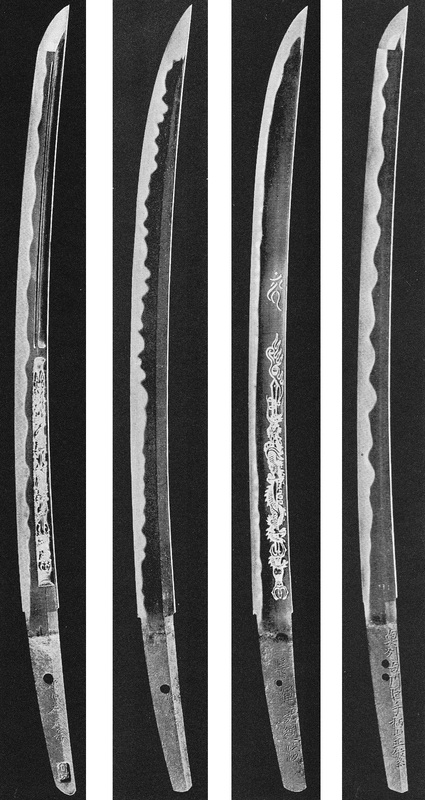 And this sugata was more or less kept unchangedly until kotô swords were revived in the late Edo period. Sword production declined significantly with the transition to the 18th century but was on the one hand revived by Suishinshi Masahide and was on the other hand again stimulated by the turmoils of the bakumatsu era. Thus also wakizashi appear in larger numbers from around Tenpô (天保, 1830-1844) onwards. Again we see the same trend to large mid-Nanbokuchô shapes in the bakumatsu era but with a thicker kasane. 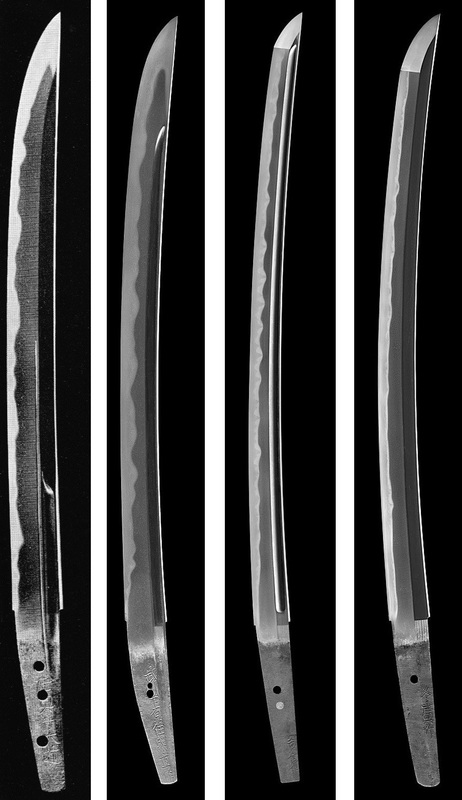 As so many different wakizashi were made at that time, it is hard to name any representative school or smith for specific interpretations but famous is the Kiyomaro school for their magnificent short swords which are often modelled on shortened nagamaki blades.